During a divorce parties are often times unable to focus on forming a strong co-parenting relationship with the other parent. The parties may be distracted by financial issues such as equitable distribution and claims for alimony or attorney’s fees. Once these issues are dissolved after the divorce is entered, hopefully parties learn the importance of co-parenting after divorce or child custody determination is made. Co-parenting after divorce involves the manner in which the parties communicate and raise the child pursuant to the parenting plan. Co-parenting after divorce is difficult for some parents because they may harbor emotions or sentiment towards the other parent that involve the parties former marital relationship rather than the children. Parties should work together to co-parent after divorce that is consistent the Parenting Plan and Parental Responsibility that is ordered by the Court. Even after divorce is entered, some litigants do not warm up to effectively co-parenting after divorce. They may make the other parent’s life difficult or be unreasonable with changes to the time-sharing arrangement. Co-parenting after divorce frequently involves a wide range of decisions and situations involving the parties’ children. The situations that can arise between parties while they are co-parenting after divorce are limitless. Some of those situations involve; the issuance of the passport or issues relating to the children’s medical care or extra-curricular activities. Parties should be careful and understand that children can be impacted by their parents’ failure to co-parent both during and after the divorce. Learning to be an effective co-parent and working within the parenting plan is essential for children to thrive after parties are separated. Co-parenting can sometimes be a difficult task depending upon the circumstances. In the event that one party is not acting within the scope of the parenting plan or the final judgment that is ordered by the Court, it might be possible to bring an action for enforcement of the final judgment. In certain situation, it might be appropriate to seek a modification of the Parenting Plan if one or the other party has abdicated their responsibilities to co-parent. Every case is different. co-parenting is unique to an individual’s family. If you are experiencing difficulty or have questions about co-parenting after divorce the Law Office of Mathew D. Martin is available for consultation. 888-984-6487. Divorce can be hard on children. It can also be hard on the parents because they might be learning a new way to rear their child while not living with the other parent. 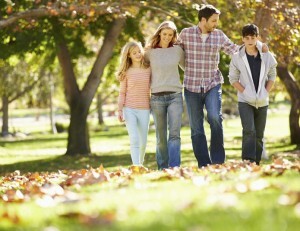 Co-parenting during divorce can be particularly stressful because not only are the parties dealing with the equitable distribution of their assets, alimony, and other claims on the financial side of their divorce, but they are also learning about time-sharing, parental responsibility and co-parenting. Co-parenting during divorce refers to the manner in which a child’s parents interact and raise their child after the dissolution of marriage has been filed. Florida Courts can order various forms of parental responsibility over a child. Parental responsibility can come in the form of sole parental responsibility, shared parental responsibility or even shared parental responsibility with ultimate decision making authority. Florida Courts use the factors listed in Florida Statute 61.13 when determining what form of parental responsibility is in the best interest of the child. The facts of a specific case will determine the parental responsibility that is the most appropriate, however shared parental responsibility is most common. Situations involving sole parental responsibility are less frequent and must be supported by showing that share parental responsibility would be detrimental to the children. Co-parenting during divorce does not entitle a party to harass another. Should that type of situation arise, it might be appropriate to seek appropriate protection from the Court. If a party is using the guise of co-parenting to stalk or threaten domestic violence a domestic violence injunction may be appropriate. Many parents find there is a learning curve to co-parenting. The parties working together to co-parent during divorce will result in the least disruption to the children’s lives. The divorce or child custody determination process only lasts so long. Almost all cases will end in a divorce or child custody determination, where the parties are left to co-parent without the involvement of the Court. Strong co-parenting during divorce and establishing a strong co-parenting relationship during the divorce will likely result in a more unified parenting front. The Law Office of Matthew D. Martin assists those in difficult family law situations that require a qualified divorce attorney, including advising clients how to properly handle co-parenting during divorce. (888) 984-6487. 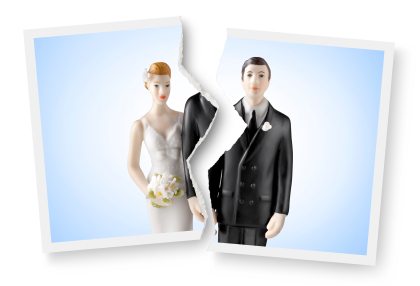 Unfortunately, a divorce can have a significant impact on your financial situation. Not only is it very important to hire a lawyer to make sure your divorce, child custody, or family relocation goes smoothly, you have to consider how child support, alimony, or equitable distribution will affect you long term. Here are three simple things you can do to ease the financial burden of getting a divorce. Working with your spouse and agreeing to the terms of the divorce oftentimes works best for both parties. While neither party may be trilled with the ultimate outcome of the timesharing of the children or the financial issues, agreeing allows the parties to be control rather than having the court making the decisions. Agreeing with the other party also helps reduce the costs associated with litigating a divorce or child custody matter. Oftentimes parties are angry and want to seek revenge for the relationship failing. However, aggressively litigating a case might not be economical. The Law office of Matthew D. Martin can assist you with your uncontested divorce, sometimes for a very reasonable flat fee. We are able to assist you with drafting the appropriate documents that you can file with the clerk and get your case resolved without much lawyer intervention or costs. This can help you save money during a divorce. However, sometimes parties are unable to agree to the resolution of their dissolution of marriage and you need an aggressive lawyer to assist with your case. Our firm has experience handling divorce and child custody matters and can fight for your best interest should an agreement not be reached. During the pendency of a divorce or child custody matter the parties might not have access to the financial resources they are accustomed to during the marriage. Creating a new budget for your change in life circumstances is an excellent way to avoid problems. Be sure to create your budget to accommodate your new lifestyle and stick with it. Hiring an affordable attorney is important. However, hiring an attorney who can also aggressively advocate your position is a major concern if the parties are unable to agree. Therefore, finding the right attorney is important. Meet with any potential family law lawyers and determine the financial arrangement you will have with them. Depending on your particular case, a flat fee or limited representation might be warranted. Following these tips can help you reduce the financial impact of your family law matter. Our firm offers free family law consultations and are available to discuss the specifics of your case. Call (888) 984-6487 to schedule an appointment today. Will I get alimony is a question Family law practitioners get asked very frequently. Florida family law court is not required to order alimony in every dissolution of marriage case. Alimony law is a complex area of divorce litigation and retaining a Boca Raton Divorce attorney such as the Law Office of Matthew D. Martin can help you understand how the alimony statutes apply to your specific case. If you are a payee (the one receiving the maintenance), its important to understand the alimony statutes so you can make sure you are receiving what you are due under the law. If you are ordered to pay support, knowing the alimony and maintenance laws can help you understand what you may be ordered to pay and if any modifications are warranted after the initial order. Florida has codified its alimony statues at §61.08 which is used to determine spousal maintenance payments. In order for the court to order a party to pay alimony or maintenance to the other spouse, the court must make written specific factual findings that there is actually a need for alimony or maintenance and whether either party has the ability to pay. If the court makes such findings and alimony or spousal maintenance is appropriate in the case, Florida Statute §61.08(2)a-j provides a list of factors the court can consider when determining the appropriate amount of the payment. The court can consider such things as the standard of living during the marriage, the length of the marriage, and education and employability of the parties involved. This is not an exhaustive list of the factors that the court can consider. If your case is unable to be resolved prior to trial, retaining a Boca Raton family lawyer can help bring the appropriate facts of your case before the court during your hearing regarding alimony. There are several types of alimony available should the court determine that spousal maintenance is warranted. The length of the marriage is one of the key factors in determining the appropriate type of alimony. Florida Statute §61.08(4) creates a rebuttable presumption regarding the length of the marriage. Short-term marriages are presumed to have a duration of less than seven (7) years, a moderate or intermediate term marriage (formally known as a “gray area” marriage) lasts between seven (7) and seventeen (17) years, and a long-term marriage is one that lasts seventeen (17) years or longer. When calculating the length, the length of time is calculated between the date the parties are married and the date of the filing of the petition for dissolution of marriage. Florida Statute §61.08(4). The length of the marriage and whether it is short, intermediate, or long term will help the dictate what type of alimony is warranted. Thus, the date and timing as to when a party files the petition for divorce is important and can impact the type or duration of the alimony that is appropriate. Some of the types of alimony are bridge-the-gap alimony designed to assist with legitimate short-term needs (Florida Statute §61.08(5)), rehabilitative alimony to assist with establishing the capacity for self support (Florida Statute §61.08(6)), durational alimony to provide economic assistance for a set period of time (Florida Statute §61.08(7)) or permanent alimony to provide for the needs and necessities of life after the divorce (Florida Statute §61.08(8)). In Florida, alimony can be paid over time or in a lump sum. Florida Statute §61.08(1). Alimony is a complicated topic in Florida divorces, including dissolution of marriage in Palm Beach, Broward, and Miami Dade Counties. Our firm utilizes sophisticated computer software to analyze the financial assets and liabilities of the parties and the impact of spousal maintenance payments after the marriage is dissolved. Our attorney works with our clients to determine what is reasonable and fair in every case specific to our clients. If warranted, we will consult with forensic accountants to help us analyze the financial circumstances of the parties. If you are considering filing for a divorce, contact the Law Office of Matthew D. Martin now for a free family law consultation in our Boca Raton location to discuss your options under the Florida alimony statutes. Many clients contact our firm complaining that the other parent is failing to pay their court ordered child support. They often ask, “Can I deny time-sharing for non-payment of child support? The paying parent might have been ordered to pay child support either by a paternity action, divorce, or Florida Department of Revenue Child Support Enforcement action. While the parent receiving child support might be angry that the other parent is not in compliance with an order to pay support that is not a sole legal justification for denying timesharing or visitation by the other parent. In fact, Florida Statute 61.13(4)(a) states that when a parent who is ordered to pay child support fails to pay, the parent who should have received the support may not refuse to honor the time-sharing presently in effect between the parents. Similar to 61.13(4)(a), Florida Statute 61.13(4)(b) provides that even if a parent refuses to honor the other parent’s time-sharing rights, the paying parent may not withhold court ordered child support simply because their right to time-sharing has been violated by the other parent. These two subsections of statute 61.13 make it clear that a time-sharing order and an order to pay support are mutually exclusive. If a parent doesn’t pay support, the other isn’t allowed to violate the time-sharing order and if the parent receiving support withholds time-sharing, the paying parent may not withhold support. Parents should not resort to “self help” mechanisms of punishing the other parent by withholding the children or not following their parenting plan or time-sharing order. The court entered those orders while considering the best interest of the child and one parent cannot override the court’s order simply because they are not receiving support. If the paying parent does fail to pay their court ordered support, the Florida legislature provides for mechanisms that can serve as penalties for failing to pay support. For instance, Florida Statute 322.245 provides that a payor’s driver’s license can be suspended for failing to pay support or alimony ordered by the court under chapter 61. The statute says that the state disbursement unit or clerk of court can even impose a fee for administration of the delinquency. And, if a party’s driver’s license is ultimately suspended for failing to pay support and they are caught driving by law enforcement, there might be serious ramifications including possible criminal charges. There might be other remedies available for when a party does not pay child support such as suspension or revocation of professional licenses or other consequences ordered by a court. 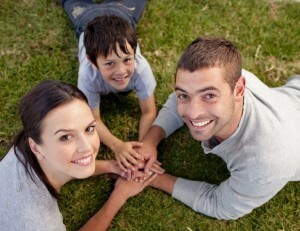 Our office has experience with assisting parents with their enforcement of child support orders. We offer free consultations with an attorney to review your existing support order and nature of the arrearages that you might be owed. We handle primarily family law and cases involving time-sharing, child support, and divorce issues. Call (888) 984-6487 to setup a free no-obligation consultation to speak to an attorney now.